The best time to visit Goa is between the months of November and March, when the weather is relatively cool. This is the best time to experience water sports in Goa. If you are looking for a cheaper accommodation, then you can visit Goa during the off-season which is from March to June. Which are the top 5 must visit places in Goa? Panaji, Vasco Da Gama, Calangute, Mapusa and Margao are the top 5 places which you should visit on your Goa trip. How can I get attractive discounts on hotels in Goa? The best way to book hotels at discounted rates is through online travel portals. 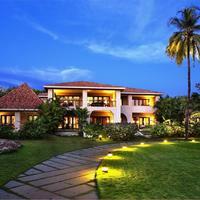 Cleartrip is one such website which offers a wide range of options of hotels in Goa at the best price. You can use a valid coupon code to avail instant cashback and other benefits before booking a hotel of your choice. Can unmarried couples stay in hotels in Goa? Yes, there are several hotels in Goa where unmarried couples are allowed. However, it is mandatory to show suitable identification proof such as Aadhar card, Voter ID, etc. at check in. 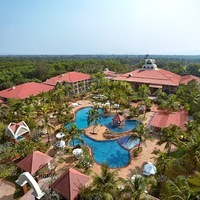 How can I find hotels near Agonda Beach, Goa? It is very easy to find hotels near Agonda Beach using Cleartrip. 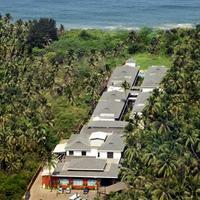 You just need to enter Agonda Beach, Goa in the Where field option on the Hotels Page. The lists of hotels near Agonda Beach will be displayed in the search results, and you can book the hotel as per your requirement. How do I book resorts in Baga Beach, Goa? 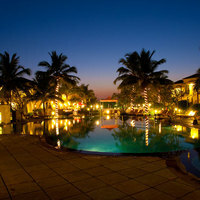 You can visit Cleartrip website Hotels Page and search for “resorts in Baga Beach, Goa” in the Where location filter. List of resorts in Baga Beach will be displayed and you can choose from the listed ones as per your budget and requirement. Do Goa hotels offer Wi-Fi facility? 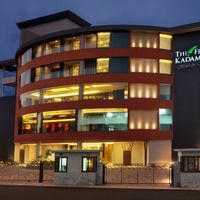 Yes, there are several hotels like Grande Delmon, Hotel Fidalgo which offer this facility. For more hotels with Wi-Fi in Goa visit the Cleatrip website. Many hotels offer complimentary Wi-Fi to its guests. However, it is always better to check with the hotel at the time of booking whether they offer Wi-Fi access to the guests. What can I buy from Goa? Some of the best things to buy from Goa are Cashew Nuts, Spices, Feni, Handicrafts, Wooden furniture, hippie clothing and junk jewellery. Can you tell which are the popular night clubs in Goa? Goa is the Party Capital of India so if you are looking for a night out in Goa, you can choose for Silent Noise Club, Club Cabana, Tito’s Bar and Club, SinQ Night Club, Cafe Mambos, Kamaki, UV Bar and many more. Can you list the top 5 shopping areas in Goa? The best five shopping places in Goa are Mapusa Market, Anjuna Flea Market, Calangute Market Square, Saturday Night Bazaar at Arpora and Mackie’s Night Bazaar. What are the famous sightseeing spots in Goa? Some of the best places to visit in Goa are Calangate, Fort Aguada, Deltin Royale Casino, Chapora Fort, Basilica of Bom Jesus, Pandava Caves, Arvalem Waterfall, Mangeshi Temple, Dudhsagar Falls, and many more. What are some must do things in Goa? Adventure activities like hot air balloon flight, trekking, Quad biking, camping, cycling, etc. and water sports like dolphin ride, surfing, rafting, Scuba Diving, snorkelling, parasailing, are some Things to do in Goa. Suggest a few top places to eat in Goa? Some of the best places to enjoy authentic goan cuisine are Upper house, Hotel Venite, Tuscany Gardens, Bhatti Village, Mum’s Kitchen, Alex Beach Shack and many more. What activities and experiences can I enjoy in Goa? From glorious beaches to waterfalls, from exotic flea markets to night clubs, all of these make Goa a perfect holiday destination. Fun activities like surfing, scuba diving, water-skiing, snorkelling, jet skiing, parasailing and rave parties, etc. can be done in the city. How to book a hotel for international guests at Vasco Beach, Goa? 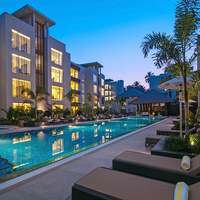 Visit Cleartrip website and go to hotels in Goa option, and then select hotels in Vasco Beach from the Locality dropdown. You can view a list of all the hotels in Vasco Beach and choose the one that is best suited for international guests. These hotels give you a taste of luxury and are equipped with world-class amenities like Restaurant, Pool, and Wi-Fi. 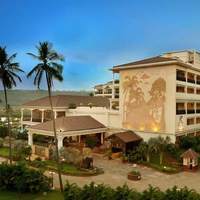 Which are some good chain hotels in Goa? 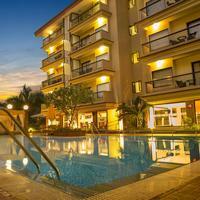 Citrus hotels, Clarks, Club Mahindra, Carlson Hotels and more are some popular chain hotels in Goa. Check Cleartrip website to avail the best deals at the best rates. From where can I book a good resort for a day outing in Goa? Enjoy resort day outing at Sharanam Green Resort with your friends and family, which offers a great ambience, lifestyle and fun filled evening. 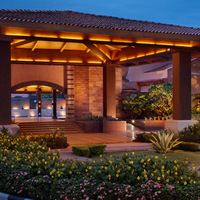 Check out the package options and book the resort to experience complete luxury only on Cleartrip. 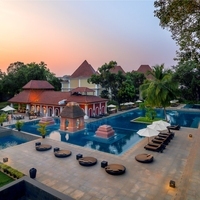 Can you name some 5-star hotels in Goa? Can you list some hotels in North Goa? 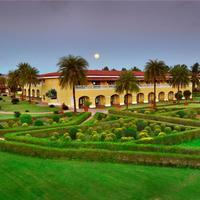 Hotel Mayura, Grand Goa Exotica, Boshan Hotel are few hotels in north Goa. 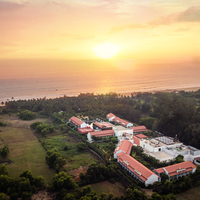 For more options, you can choose North Goa from the ‘Hotels by Region’ drop-down on Cleartrip website and book the hotel online as per your requirement. Can you name some budget hotels in Goa? 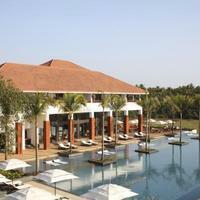 Resort Village Royale, The Rivasa Resort, Hotel Mayura are few budget hotels in Goa. 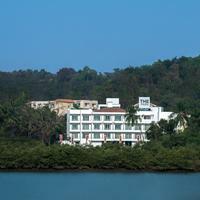 There are some budget hotels in Goa that provide free cancelation of booking too. For a hassle-free booking, opt for Cleartrip. 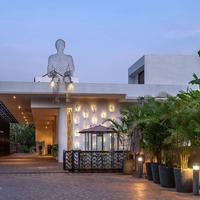 What are the top hotels to stay at Goa? 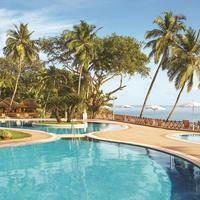 Looking for the top 5-star hotels in Goa? 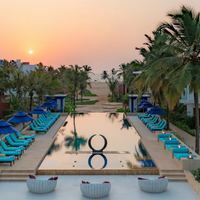 Then you can choose from a wide range of options such as Club Mahindra Varca Beach Resort, The Park Calangute, Novotel Goa Shrem Hotel and more. How far is Majorda Beach from Panjim? The distance between Majorda Beach and Panjim is about 30 km. It will take nearly 54 minutes to travel from Majorda Beach to Panjim. Where can I enjoy best dinner buffets in Goa? Dine in and enjoy the best dinner buffets in Goa at Ibis style Goa Calangute which is stylish restaurant and offers Indian and Chinese cuisine. You can even head to Lazy Lagoon at Sarovar Portico Suites to indulge in a sumptuous buffet in a relaxing setting. Dolphin shows, Goan Shacks, flea markets, Dr. Salim Ali Bird Sanctuary, Church of Saint Francis of Assisi, Basilica of Bom Jesus, Chapora Fort, Calangute beach, Majorda beach are the top tourist attractions in Goa. Can you tell me about some resorts in Goa? 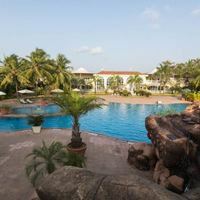 Do check out the resorts in Goa like Golden Crown Hotel and Spa, Angels Holiday Resort, Resort Village Royale and more. For a comfortable stay and pleasurable experience in Goa, log on to Cleartrip app or website and grab the best deal! Goa is the home to some of the most reputed nightclubs in India. From beach side parties to casinos, from thriving nightclubs to the charming beach shacks, Goa has everything to offer to party lovers. Are there any resorts in Varca Beach? Yes, but there are very few resorts in Varca Beach. Caravela beach resort is one great option. 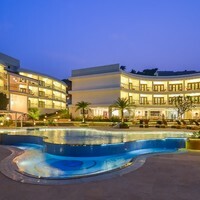 For more info on resorts in Varca Beach, you can visit Cleartrip.com. Is room service available at Goa hotels? Almost all hotels in Goa offer room service to the guests. Grand Delmon, Hotel Fidalgo, Ronil Royale are a few options that offer this service. For more details, visit Cleartrip website and click hotels with room service in Goa. Do hotels in Goa offer bar facility? Yes, almost every hotel in Goa offers bar facility. Grand Delmon, Hotel Fidalgo, Ronil Royale are few of the many. You can check out more hotels with bar on Cleartrip. Where can I go for weekend getaways from Goa? Plan your perfect weekend to places like Mangalore, Bijapur, Chorla Ghats, Agumbe, Hampi, Malpe, Mahabaleshwar, Lonavala, etc.